This lightweight and comfortable playing shirt, looks as good as it performs, with an element of stretch fabric and rolled-forward shoulder seams to give you a more natural range of motion as you play golf. 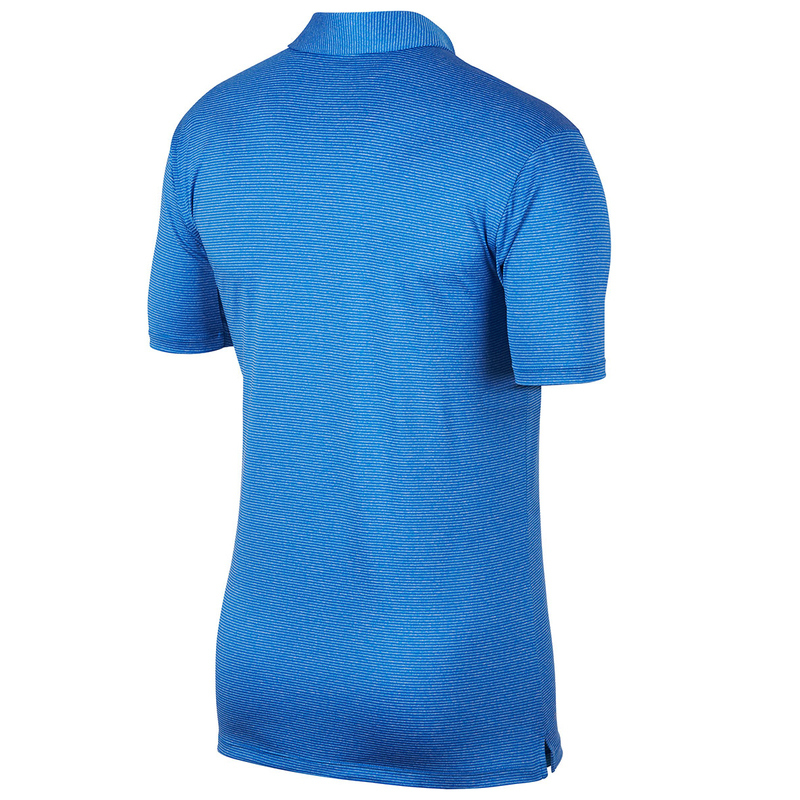 The shirt also benefits from Dri-FIT technology, which minimises distraction by wicking moisture away from the body, keeping you dry and comfortable during your golf game. 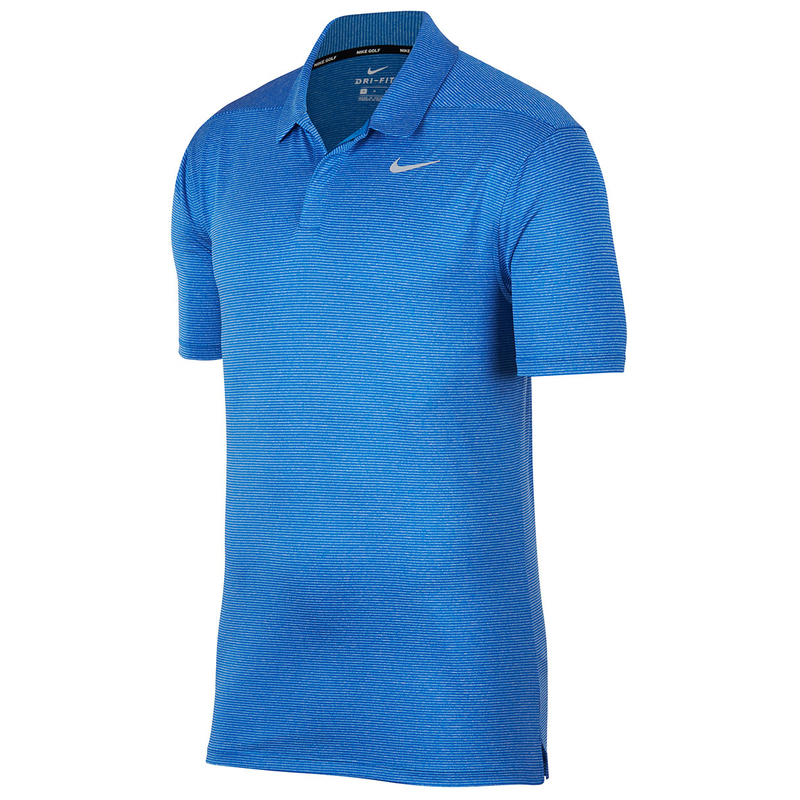 The shirt has a hidden placket and fold over collar, with neck tape to smoothly rub against the neck, and is highlighted with a Nike brand logo swoosh on the upper left chest.